"I am so thankful for Dr. Fortin and the ReYOUvenate clinic in Petoskey." "I walked out feeling more energized and NOT in pain! So thank you"
"What a fantastic addition to Northern Michigan. Thank you, Dr. Fortin!" Providing relief from pain and treatment for chronic conditions requires an advanced integrative approach to medicine. 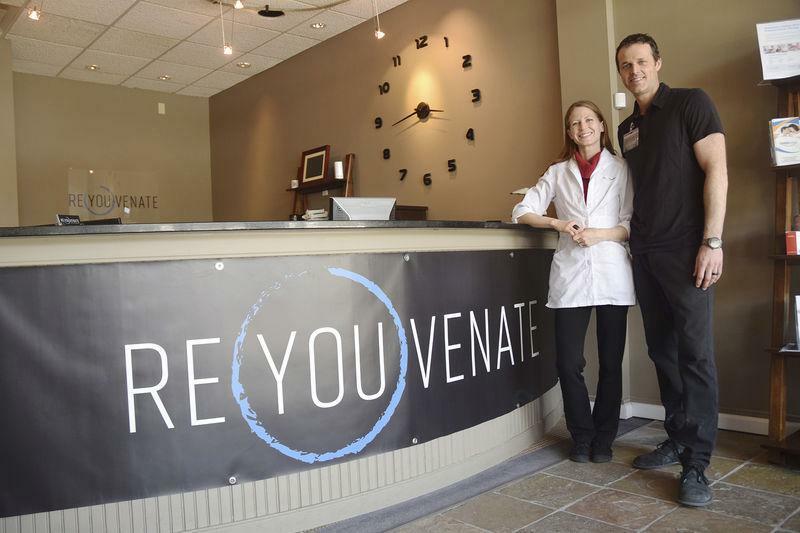 Patients in Petoskey, Michigan, trust integrative medicine specialist Lisa Fortin, MD, of ReYouvenate for the treatment of a variety of health conditions. Her practice proudly serves patients near Petoskey, Harbor Springs, and Bay Harbor, Michigan. After completing her undergraduate studies in biotechnology at Ferris State University in Big Rapids, Dr. Fortin spent a year working in neurosurgery research at Henry Ford Hospital in Detroit. She developed a strong foundation for learning about the most intricate processes of the human body and went on to earn her medical degree from Wayne State University School of Medicine in Detroit. Dr. Fortin served as chief resident during her five-year diagnostic radiology medical residency at Henry Ford Hospital. It was there that she developed her passion for anatomy and integrating complex issues to help patients overcome health problems. Dr. Fortin followed her residency with an abdominal imaging and intervention fellowship at Beth Israel Deaconess Hospital in Boston. She then practiced diagnostic and interventional radiology for another five years in Petoskey, Cheboygan, and Gaylord, Michigan. Opening a regenerative medicine practice was a longtime vision of Dr. Fortin’s. With her extensive background in medical “detective work” and piecing together warning signs of health conditions, Dr. Fortin works to help patients heal through alternative and integrative medicine approaches. BAY HARBOR - For quite some time, Dr. Lisa Fortin has been into alternative types of health. Fortin, who after completing her undergraduate studies in biotechnology at Ferris State University and spending a year working in neurosurgery research at Henry Ford Hospital, went on to medical school and developed a thorough understanding of human anatomy, physiology and what happens to the body when affected by trauma, infection or disease.